Exclusive: TyRuben Ellingson’s Mimic Concept Art! Early study of the Mimic face-mask. 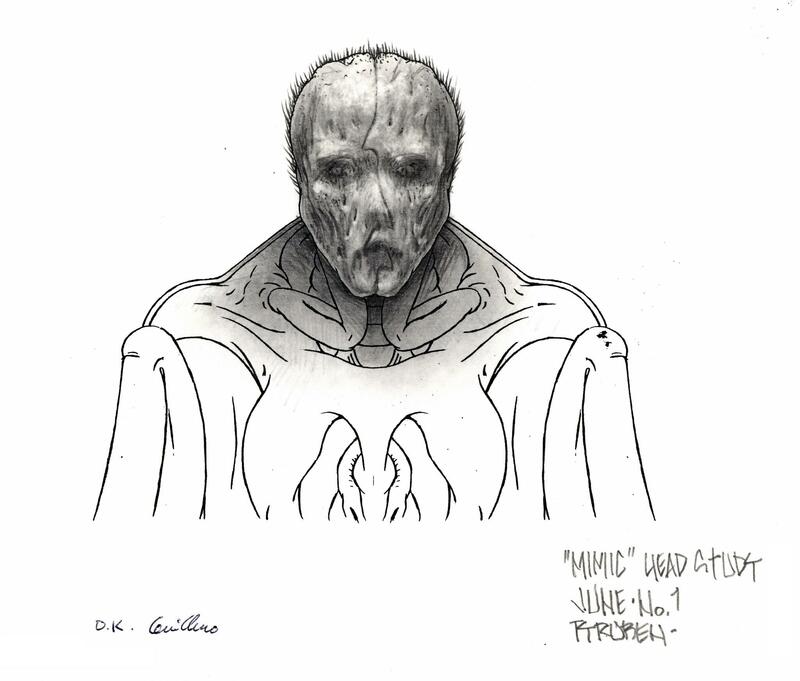 On the 4th of January, I received a mail from TyRuben Ellingson, the main creature designer for Guillermo del Toro’s Mimic. He showed to me two concept art pieces he had drawn for the project back in 1996; with further correspondence he not only allowed me to publish them here, but also gave me other drawings. The two pieces below are side view studies, already close to the final incarnation of the ‘Long John’ Mimic design; they show how the creatures’ peculiar ‘mask-claws’ function and how the Mimics’ appearance changes when they are in ‘masked’ and ‘unmasked’ positions. Notice that the ‘mask-claws’ here were successively changed for the adult monsters. 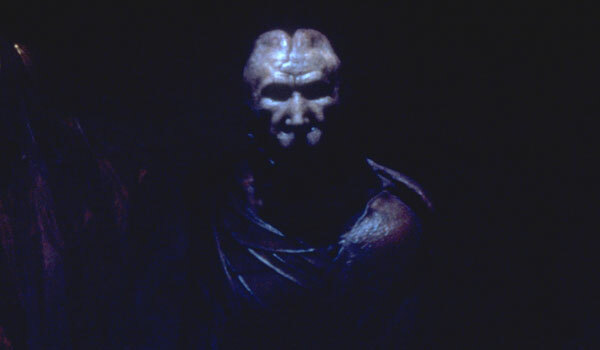 The juveniles mantain the earlier design due to the fact that when the decision was made, the practical models for the character were already built and ready for filming. The original Mimic short story, signed by horror author Donald A. Wollheim and published in 1950, was widely different in both plotline and tone to Guillermo Del Toro’s 1997 feature film. In it, the narrator recalls a grotesque and mysterious ‘man in a black coat’ in his neighbourhood. When this figure is found dead in its apartment, it is revealed to be a gigantic insect, evolved to camouflage itself among humans — mimicking their appearance.